Giveaway! Go to Starbucks, Get Sonic 4 Episode 1 For Free! 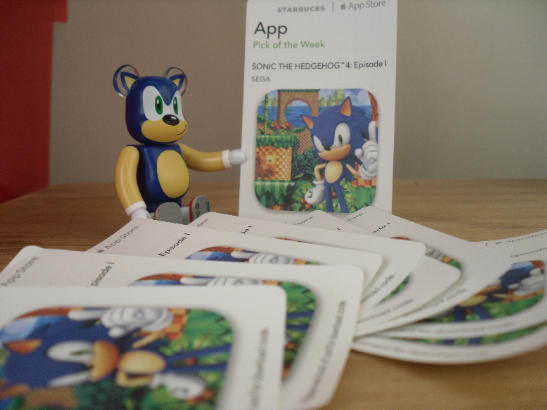 Who wants a free copy of Sonic 4 Episode 1 for their Apple device? If you do, good news! The UK arm of Starbucks are currently giving away the game for free if you visit their participating branch. Near to where you collect your drink you can find their ‘App: pick of the week’ promotion. 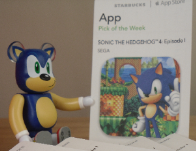 For being a customer you can take a free code to a selected product from the iTunes store, and this week it happens to be Sonic 4 Episode 1. I would imagine that the idea is you actually buy something at Starbucks and not just rush in there and take a code before manically laughing as you run out. But if you can’t get to a Starbucks, I have a few codes to giveaway. Click that read more button if you want one! The promotion looks like it’s been running since last Monday so chances are come next week they’ll move onto something else. If you can’t get down to Starbucks tomorrow, I do have 9 of the codes to giveaway to anyone who would like one? Simply email “I want free game!” to hogfather@sonicstadium.org with your name and email address as I will be emailing the codes. A few important things before you all rush to your email inboxes. This promotion is only running in the UK, as a result, the codes ONLY work for the UK iTunes store. No more entries after Tuesday 21st August. Winners will be notified at some point next week all being well. According to the instructions on the card, you can download them via a PC/Mac or direct to your Apple device (if it can connect to the iTunes store.) The devices listed as being compatible with this promotion are the iPad, iPod Touch and iPhone. The promotion code will expire on September 24th 2012. So if you get one, make sure you use it before then. Anyone got a sudden urge for coffee? Or a muffin? < Previous Post Previous post: Freak-Out Friday: Get A Load of THESE! Did Kirby take his spikes again? 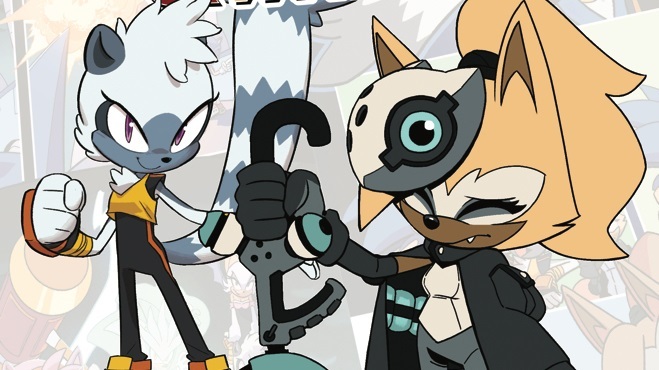 What is up with that Sonic. Is sonic suppose to be a bear? No, the bear is supposed to be Sonic. …ummmm yahhhh… : l. Ehhh doesn’t matter I have it on xbox 360, I have an Android phone, and I live in the US. I’d never thought I’d see it…Sonic the Bear. *As I read this while sitting in a Canadian Starbucks* WTF? Then again, I own the OS version, so what would be the point? I know you guys don’t believe it, but SEGA really does have more Sonic promotions in the UK than in the US.